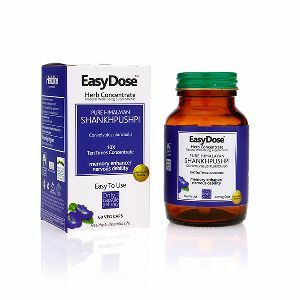 DOSAGE : One to two teaspoonful twice a day or as directed by the physician. CAUTION : Keep away from direct sunlight & moisture. 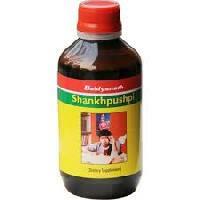 AVAILABILITY : 220 ml syrup in pet bottle. 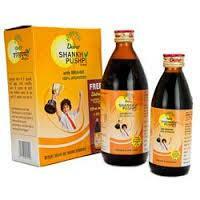 We are offering shankhpushpi syrup. 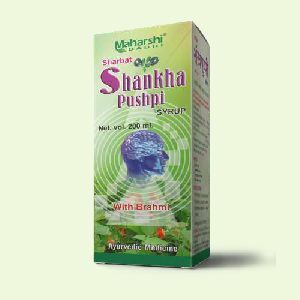 This is an unique Ayurvedic formulation to enhance memory , concentration & intelligence. 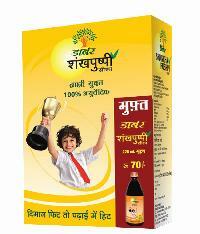 Improves memory & concentration in children . 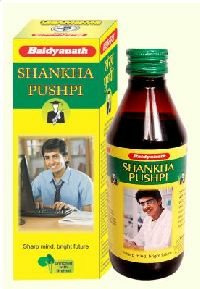 Helpful in mental tension & insomania . 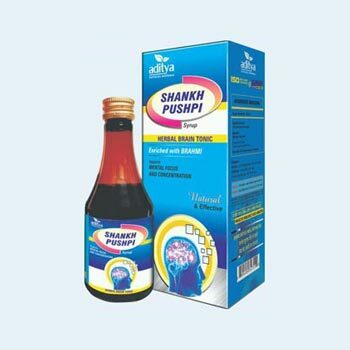 A natural herbal tonic for intellectuals. Controls rise in blood pressure . 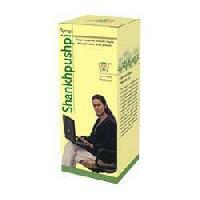 Controls irritablity, mental debility, sleep disturbance & aggresive behaviour . 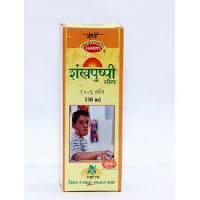 Size:450 ml, Baidyanath manufacturers over 700 Ayurvedic preparations comprising of about 50 well studied and researched patent medicines.